Like I am for real obsessed with velvet right now. After seeing the most beautiful velvet pieces filling the high street, buying a pair of velvet leggings and bringing back out my gorgeous navy velvet boots, I've rediscovered why I love it so much. It's soft, it's multi-dimensional, it's stylish. What's not to love? 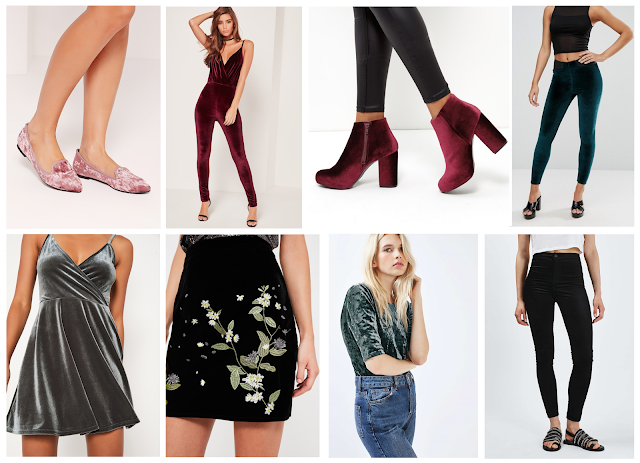 What are your thoughts on velvet as a trend this season? Yes! I am in total velvet mode right now!